I’ve been attending Craig Fishers #TalentNetlive events across Texas for the last few years. I usually speak on topics like Facebook recruiting or cool tools panels. One of the good things about returning to the same events is that you get to see a few of the same faces and hear how they are progressing with integrating social recruiting. When you talk to anyone at an event you always get an idea of who the vaguely curious are, and who is seeking you out because they are plotting something for themselves. Whilst I will talk to anyone about anything, its greatt to talk to the plotters and offer your opinion. Sometimes this leads to work, other times its great to see their plans come to fruition and know that you had some input in to what happens. 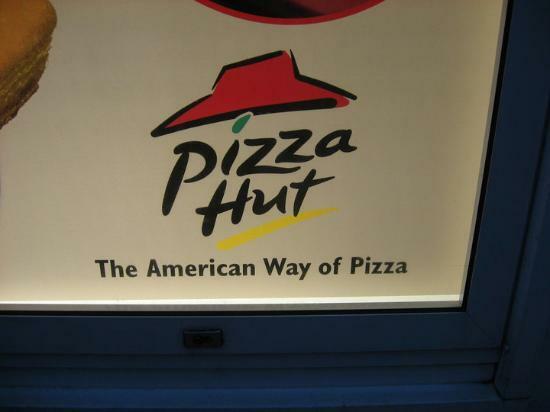 Pizza Hut were founded in 1958 and now have over 6000 restaurants, 95% franchise owned and operated. Pizza Hut hire over 100,000 people, mostly team members, drivers and managers. Dan joined PHI in Sept 2011 with a brief to change the way they do things. At the time, they had a basic career site with no mobile integration or SEO. They were using kronos as the ATS on the back of the site, had no social media presence and were heavily reliant on job boards. This approach drove plenty of applications, with a low conversion rate. All social recruiting implementation should start with technology, a review of what you have now, what you need to change and a plan to build the technical infrastructure to take you forward. After some fairly rigorous investigation, Pizza Hut chose to go with Jobs2Web as a comprehensive and social platform, with the switch taking place in January 2012.. Jobs2Web were also engaged as media buyer, and the social brand, Pizza Hut People was launched. Along with technology, when you’re integrating social recruiting you need to review your people and how you organise and support them. Hayward added 5 recruiters to the team, with a brief to get social through dedicated twitter accounts, and to start engaging with people. They also changed their approach to talent attraction, harnessing a broader range of media and channels, targeting in to niche areas and adopting a PPC campaign. In a move to humanize the employer brand they took the innovative step of launching boards on Pinterest, producing photographic content and infographics that told their story. This achieved the humanizing objective, as well as giving the recruiters content to share. When you attract potential employees through social, then you need social landing pages and application process. Pizza Hut launched a new career site hosted by jobs2web in May 2012. In particular, they were looking to improve the candidate experience, reducing clicks and offering new candidate friendly features. With social being so closely connected with mobile, it was essential to optimise the site, making sure all features and functions operate for everyone regardless of the device they use to gain access. One of the key features of the career site was creating a talent network. This offers any visitors the option to sign up for relevant updates. I’m a big fan of this approach. When you land on the career site your greeted by 3 pictures of people, headed Team Jobs, Management Jobs and Corporate Careers, each with a big View Opportunities button. At the top of the page is a simple search function to search open positions by keyword and location. The top tabs offer a drop down menu of featured jobs, locations and join our network. The location tab brings up a map showing each state and the number of open jobs, with the facility to filter by job title. Click on a state and you get a more detailed local map, with individual jobs denoted by a pin, and clicking on a pin takes you to the job title, one click away from the job description and the apply process. Each job has the option to sign up for similar jobs by e-mail, to search jobs by keyword, to tell a friend using social sharing in multiple channels, search other jobs by keyword, find similar jobs by tag (such as jobs in Austin), to apply or sign up for the talent network. Hovering over the apply button gives the immediate option to start the application process with either LinkedIn or Facebook. Clicking on the apply with LinkedIn requires a sign in to grant permission via LinkedIn. This takes you to a screen that congratulates you on joining the Pizza Hut talent community, advising that you will be mailed other jobs that fit your profile. All applicants are automatically added to the community. Clicking on apply again takes you to a screen giving you the option to choose to see other near by locations with the same or similar jobs. A tick box screen then gives you the opportunity to apply for additional positions that meet your requirements. Given that Pizza Hut have multiple positions in close by locations, I think this is a great feature for the candidates. The next screen is a consent form, and a clear instruction that completing the on-line application process will take a minimum of 30 – 40 minutes. It’s great to set expectations at the start. the next screen offers the options to upload a cover letter and a resume, then proceed with the application. This requires the input of 14 bits of personal data like social security number etc, and passwords to set up an account, before completing the pre-selection questionnaire. The real benefit of this is that once a candidate has completed this stage they can use the data provided to apply at any time in the future through the talent network. This is followed by completing job agents to filter what jobs you want to hear about, keywords, location and the frequency you want to be messaged. Submitting your agents returns jobs that meet your profile and a list of people you are connected with at Pizza Hut according to which profile you chose to use to sign up. It’s very easy to use the site for simple navigation. > Slice of hope – Pizza Huts charitable enterprises and community projects. > Applying – stuff you should know. At the bottom of the page is a really interesting feature in beta called “Social Job Matcher.” This function enables visitors to sign up for the talent network using any of their social profiles, Clicking in instantly matches your profile with open jobs, offering the opportunity to apply. The other feature of social job match is the facility to match jobs against any of your connections to refer the job to them. The principle of this is great, although it doesn’t yet work that well in practice. It’s a bit long-winded because you have to click on the contact you want to match individually, rather than get all the matches delivered together, and the recommendations were based more on location than anything else. I will be watching this feature with interest to see how it evolves out of beta, and with some modifications to the matching. The career site and PPC campaign kicked in with results almost immediately, and through the jobs2web platform Pizza Hut were able to track the sources of traffic and the candidate journey for the first time. To try something different Pizza Hut also built on their growing Pinterest following by engaging Paul Jacobs to build Jobgrams for delivery drivers. Jobgrams are job descriptions in the form of infographics designed for sharing through social channels. Jacobs has done a great job of developing these, and they get shared much more than conventional job posts with improved results, and this was no exception. You should take a look at the Jobgram to see how they are simple, visually striking and simple to share. > 30,000 = The number of open jobs posted at any one time. > 4 Million – The number of applications forecast for 2012. > 800,000 – The number of sign ups for the talent network since May. > 100,000 – The monthly growth rate of the talent network. > 20% – The number of applications coming from the talent network. > 250,000 – The number of reapplies year to date. > 4% – The % of candidates applying via the mobile portal. > 25% – The % of candidates attracted via PPC. The numbers that I find really interesting are those around the talent network. Given the rate of sign up and reapplication, it is conceivable that within 18months all hires could come from this source. I’m a fan of the network approach because the candidates opt in and require limited maintenance. Sign up is really simple via one click, and the response rates indicate that candidates keep an interest in the brand even if they have been unsuccessful in the past. A continued focus on talent attraction through a blend of PPC and social activity will accelerate the growth of the talent network to optimum. At the start of July Pizza Hut moved to the next stage of their strategy with the launch of LinkedIn and Facebook pages. The plan is to migrate the members of the talent network to the Facebook page, making the page the center for engagement. The page currently has 51 members, with 76 people talking about it over the last 7 days. Expect this number to grow by hundreds of thousands over the coming weeks. I spoke with Dan about why they are looking to move the network away from the site and on to Facebook. His feeling is that the page offers much more opportunity to engage over time, build a community rather than purely a network, and to have a social place where all employees can get involved in the conversation. The Pizza Hut team are also now piloting presenting job descriptions in short Prezi’s that are visually engaging. Theres also plans to start adding jobs to pizza boxes based on the local stores and local jobs, with QR code links to join the network. This is simple, but I’m sure will be effective. It will be great to follow their progress over the coming months with all of these initiatives. It was a pleasure to speak to Dan again, and see the progress they have made in such a short space of time. Thanks for sharing! Thanks for the interesting article. Love these case studies!